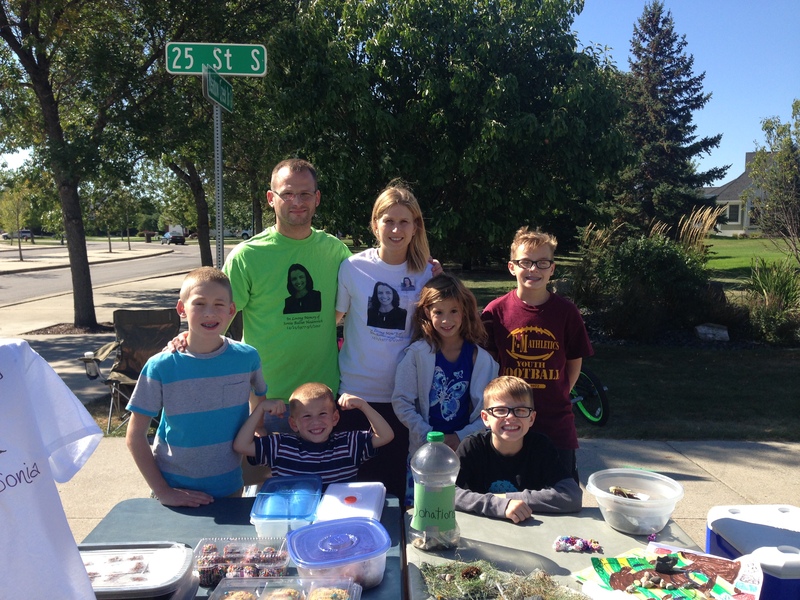 The Johnson/Brachman family: Erin and Ryan Johnson, Riley 13, Adam 9, Jacob 9, Kayla 8, and Jack 4 held a lemonade stand to support the Cystic Fibrosis Association of North Dakota. $162 was raised and donated in memory of Sonia Balliet-Heidenreich. for the 6th annual Sonia 5K in Fargo Oct 3rd. What a great way to teach kids philanthropy and service! Thank you so much for your hard work to help our friends with CF to #BreatheEasier! Do you want to hold a mini-fundraiser for CFA? Contact Pam at development.cfa@midconetwork.com for different ways that you can help! Meet Addie: 2015/16 CFA Youth Ambassador! Merry Christmas to you and yours! Thank you for all that you do to help our friends with #CF to #BreatheEasier!